In this blog I present the results of my research into the landowning families of the British Isles and the country houses which they owned. Comments, especially in the form of corrections, additional information or new illustrations, are very welcome. Please use the Contact Form in the right hand side bar to contact me privately or the comments facility at the bottom of the page to make a public comment. The Armitage family seem to have taken their name from their first home above Berry Brow, south-west of Huddersfield, which is said to have been the site of a medieval hermitage. In later years it was known as Armitage Fold, and in 1880 there was 'a very old building' there, but only two small 18th or early 19th century cottages called The Hermitage and East View stand near the site today. A William del Ermytache is recorded in 1378/9 and a later William Armitage in c.1470, but the family descent is only certain from the 16th century. The bridge over the River Holme below this first family home was known as Armitage Bridge and has given its name to the mill settlement which grew up alongside it in the 18th century. John Ermitage, of Ermitage, died in 1527 and another John Armitage of Ermitage, who died in 1601, and was perhaps his grandson or great-grandson, settled at Honley a mile or so to the south. 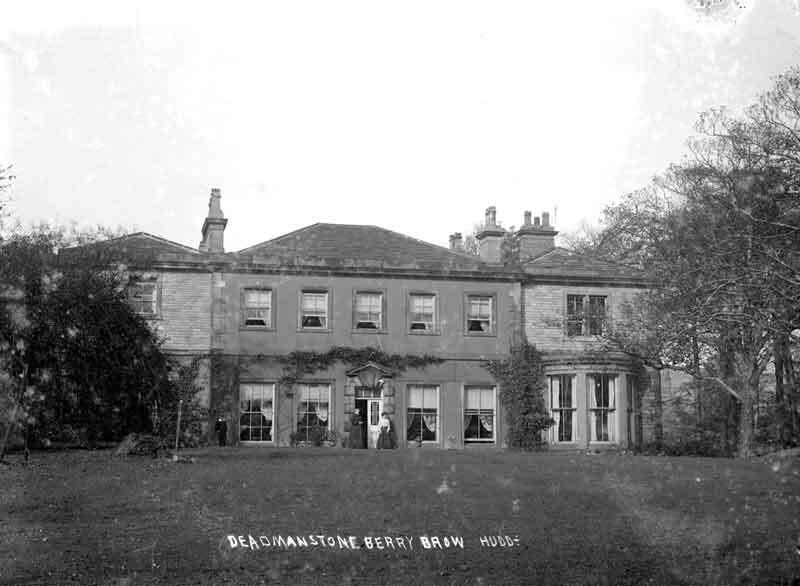 His youngest son, Richard Armitage (d. 1666) bought a house called Deadmanstone or Dudmanstone House at Berry Brow in 1663, which seems to have been the first family house of any consequence. It was rebuilt in 1745 and again in the early 19th century, twice added to in the 19th century and demolished in the 1960s. The site is occupied by modern housing today. Richard's son, Joseph Armitage (1617-89), described as "a prudent, upright man who added greatly to the family possessions" but who was unmarried, divided his property between the two sons of his brother Richard Armitage (1627-1706). The elder, Richard Armitage, received Dudmanstone House, and from him it passed to his son Francis, who was responsible for the 1745 rebuilding, and to the latter's son, Joseph Armitage (d. 1803), after whose death it was sold. The younger, George Armitage (1674-1742), was left a property which Joseph had acquired called High Royd at Honley. It is not clear what sort of house existed at this time, but elements of it may have been incorporated in the present building, which was presumably built for a later George Armitage (1737-1815) soon after he inherited the property in 1785. George Armitage (1674-1742) may have been principally a farmer, but his son, Joseph Armitage (1716-85) is consistently described in the parish records as a salter, and presumably drew most of his income from that source. 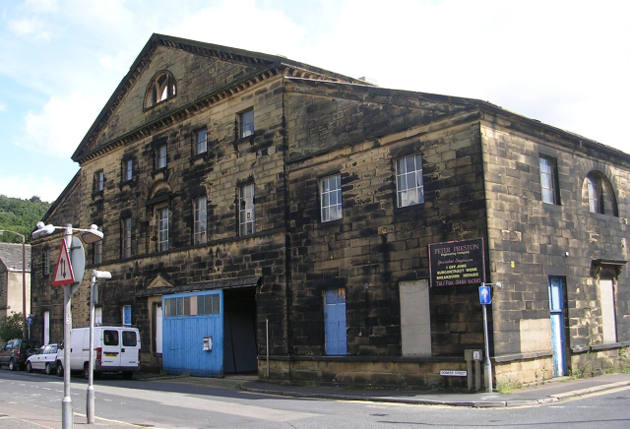 His son, George Armitage (1737-1815) moved into the burgeoning West Yorkshire woollen trade and in the early 19th century was described as a merchant, which probably implies a role as a middle man sourcing wool to meet the needs of the woollen manufacturers in the area. It is likely that this move into commerce over two generations provided the increased wealth that enabled George to rebuild or remodel High Royd at the end of the 18th century. Shortly before his death, George handed over High Royd to his son and heir, Joseph Armitage (1778-1860) and moved to a nearby house called Park Riding, which the family used as a dower house. Joseph Armitage (1778-1860) was the man who most significantly increased the family fortune and moved decisively into the gentry. 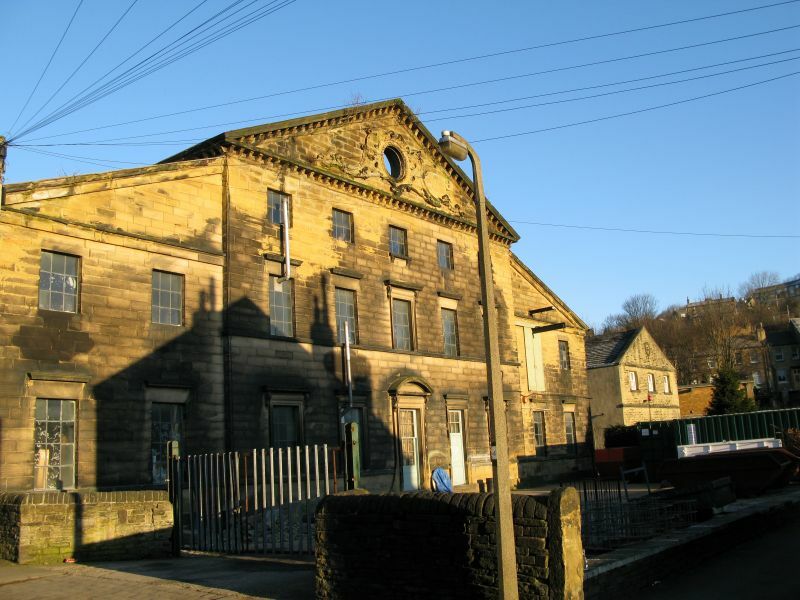 In 1822 he built the first woollen manufacturing mill at Milnsbridge, two miles west of Huddersfield, and to provide a convenient base to supervise the new works he first rented and then about 1823 purchased Milnsbridge House from Sir Joseph Radcliffe, 2nd bt., whose great-uncle had built it in 1756. 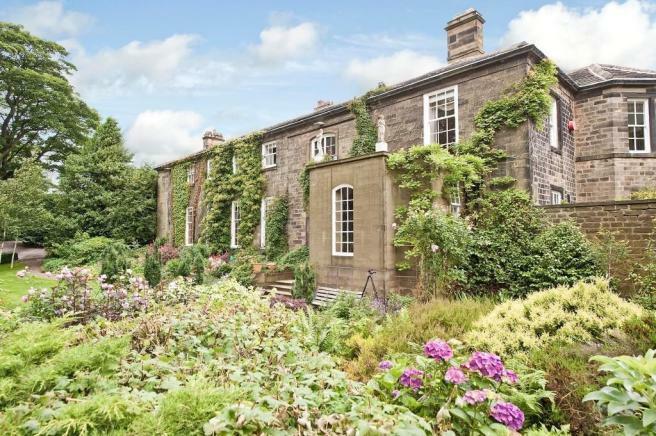 Because Milnsbridge House now stands largely derelict in an industrial landscape, it is hard to appreciate that was once an elegant if modest country house, almost certainly designed by James Paine, with views over a designed landscape including a large pool. Joseph Armitage's business and his family both grew. He ended up with no less than six sons and nine daughters, only three of whom died in childhood. In the 1840s, he handed over control of the business to his sons, who reconstituted it as a partnership called Armitage Bros, which survived until it became a limited company in 1925 and ceased trading in 1930. The firm was now sourcing its own wool, and looking much further afield than Yorkshire. At least two of the brothers spent periods in Australia, where they acted as wool buyers, and Henry Armitage (1818-70) married and seems to have settled there, only returning to Europe at the end of his life. With Joseph Armitage's acquisition of Milnsbridge House, High Royd was let for much of the 19th century. It passed in 1860 to Joseph Taylor Armitage (1809-80), his second son, who lived at Birkby Grange on the outskirts of Huddersfield and continued to let High Royd. However his son, Charles Ingram Armitage (1849-1917) moved back to High Royd in about 1884 and remodelled it a few years later. It was finally sold after his death to George Pepler Norton (1858-1939), who, as a partner in the accountancy firm of Armitage & Norton, was a connection of the family. He made further changes to the house, including the creation of a new entrance hall with mural paintings by Sir George Clausen. Milnsbridge House passed to Joseph's eldest son, George Armitage (1806-78), who lived there until about 1876, when he bought Nunthorpe Hall near Middlesborough. It is not clear whether he moved because the industrial setting of Milnsbridge had encroached so much as to make it an undesirable residence, or whether he was simply retiring to the country. When he died a couple of years later both houses passed to his son, Joseph Armitage Armitage (1840-98), who sold Nunthorpe and took a lease of Storthes Hall, Kirkburton, and at this point if not before, Milnsbridge certainly ceased to be a gentry residence. Storthes Hall in recent years. When he died, his son, George Pollard Armitage (1867-1952) continued the lease of Storthes Hall, although in the year that he inherited the freehold was sold to the West Riding County Council, which built a lunatic asylum in the grounds. When he eventually gave up the lease Storthes Hall also became part of the mental hospital. G.P. 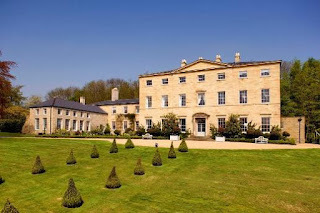 Armitage sold Milnsbridge House, which had by now been divided into a number of smaller houses in 1919 or 1920, and subsequently moved to Wiltshire, where he lived at a house called Hunters Leaze near Bradford-on-Avon. The family's involvement in Armitage Bros. seems to have dwindled after Charles Ingram Armitage's death in 1917, and the firm became a limited company in 1925 and closed in 1930. Charles' widow moved to Albury in Surrey, where two of her daughters were later married. His eldest son, Henry Ingram Armitage (1878-1940) remained in Yorkshire but left the family business to fight in the First World War, and it is not clear that he ever returned to the firm: he is listed as wounded in 1917 and it may be that his injuries were serious, although he recovered sufficiently to become Captain of a local golf club in the 1930s. 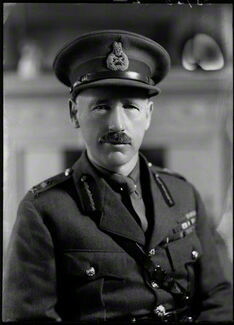 His only brother, General Sir Clement Armitage (1883-1971) was a career soldier who had the unenviable distinction of participating in the Boer War, the First World War and the Second World War, and who in the 1930s was in charge of the Staff College at Camberley. 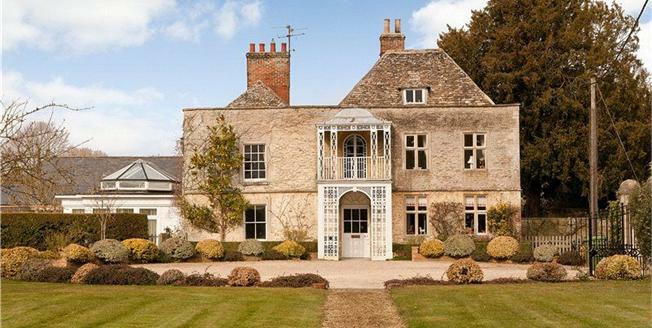 In retirement, he lived at Downington House, Lechlade (Glos) which, like Deadmanstone House in the 18th century, was a village gentry house rather than a country house, so in a sense the family has come full circle. One of the most evocative and elegiac observers of the aristocracy in the 20th century, the journalist and biographer Anne de Courcy, is his daughter-in-law. A two-storey late 18th century house, divided into four dwellings in the later 1950s. The main front faces south-east and has a central entrance flanked by two broad canted bay windows with a further bay on either side. Round the corner, a long south-west facing wing of six bays has a single window through both floors in the second bay from the right, which may originally have lit a staircase. The house was refitted internally in about 1895, and a new entrance hall was made in 1918 with mural decoration by Sir George Clausen. High Royd: the south-west wing in 2010. High Royd: the drawing room in the south-west wing in 2010. Descent: Joseph Armitage (1617-89); to nephew, George Armitage (1674-1742); to son, Joseph Armitage (1716-85); to son, George Armitage (1736-1815); to son, Joseph Armitage of Milnsbridge House (1778-1860), who let it from c.1823; to younger son, Joseph Taylor Armitage (1809-80), who let to Thomas Copley; to son, Charles Ingram Armitage (1849-1917); sold after his death to George Pepler Norton, partner in Armitage & Norton, accountants (1858-1939)... sold 1955 and divided into four properties. Milnsbridge House: the garden front, from J.P. Neale's Views of Seats. A nine-bay stone house of with a five-bay centre of three storeys and two-storey wings, dating from about 1756. It is generally attributed to James Paine because of its use of the interlocking pediments which he used later at Serlby Hall (and which derive ultimately from church facades by Palladio in Venice), and of other characteristic features including a splayed doorway surround and round-headed relieving arches. On the entrance front, the five-bay centre is covered by a big pediment containing a tripartite Diocletian window. The garden front is similar, but has an oculus set in a very elaborate Rococo cartouche in the pediment in place of the Diocletian window. Robinson of Middleton made designs in 1796 for alterations for Joseph Pickard, but nothing is identifiable as of this date, and they may not have been executed. Milnsbridge House: the former entrance front in 2006. Image: Betty Longbottom. Some rights reserved. Milnsbridge House: the former garden front. Image: Garry Appleyard. At the end of the 19th century the house had become surrounded by industrial buildings and was abandoned by the family and divided into a number of smaller houses. It was gutted in the 20th century and no original interiors survive, although there are fragments of lush Rococo plasterwork still adhering to some of the external walls. The house now has a modern flat roof. In 2005 planning permission was granted for conversion into fourteen apartments, but work had not begun by 2014 and the house remains semi-derelict, with light industrial uses on the ground floor. The house was provided with a small ornamental pleasure ground, including a lake which is visible in the engraving above; this was drained between 1904 and 1929 when the grounds were taken over by an adjoining chemical works. Descent: John Dawson (fl. early 18th cent. ); to widow, Elizabeth, later wife of William Radcliffe (d. 1748); to son, William Radcliffe (1710-95) who built the house; to nephew, Sir Joseph Pickard (later Radcliffe) (1744-1819), 1st bt., who later leased to Joseph Armitage of High Royd House; to grandson, Sir Joseph Radcliffe (1799-1872), 2nd bt., who sold 1823/25 to Joseph Armitage (1778-1860); to son, George Armitage (1806-78); to son, Joseph Armitage Armitage (1840-98); to son, George Pollard Armitage (b. 1867), who sold 1919/20 'to the Freemasons'. of Birkby Hall (later Grange) and Birkby Lodge. Birkby Grange (originally Birkby Hall) is a mid 18th century, five by three bay, two-storey house, with a two-storey extension stepped back on the left hand side. The house was converted to office use in the 1980s in conjunction with an adjacent factory building. Birkby Lodge, occupied by Joseph Armitage (1778-1860) at the end of his life, stood to the south of Birkby Grange, and has now been demolished, although the name is perpetuated in an hotel on the site. Descent: Thomas Wilson (fl. 1827)..Joseph Taylor Armitage (1809-80); to son, Charles Ingram Armitage (1849-1917)... Marshalls plc. ; sold c.2010 to Holliday Chemical Holdings plc. (3) Richard Armitage (1718-26), baptised 26 October 1718; died young and was buried at Almondbury, 13 December 1726. He inherited High Royd House from his uncle, Joseph Armitage as a child in 1689. He was buried at Almondbury (Yorks WR), 8 January 1742, where he was commemorated by an inscription; administration of his goods was granted at York, 20 April 1743. His widow died 24 December and was buried at Almondbury, 26 December 1743. (7) Martha Armitage (1751-1813), baptised 13 August 1751; married 1st, 1 July 1774, Richard Bassett (1744-1805) of Glentworth Hall (Lincs) and had issue one son and three daughters; married 2nd, 24 October 1810, Thomas Dungworth esq., steward to the Earl of Scarborough; died suddenly, 25 April and was buried at Glentworth, 28 April 1813. He inherited High Royd House from his father in 1742. He was buried at Almondbury, 15 August 1785, where he is commemorated by a monument; his will was proved at York, 31 December 1785. His widow was buried at Almondbury, 14 December 1798; her will was proved at York, 23 October 1799. (5) Sarah Armitage (1786-1809), baptised 20 March 1786; married, 4 January 1809 at Almondbury, Richard Wilson of Seacroft Hall, Leeds; died in childbirth and was buried at Leeds, 21 November 1809. 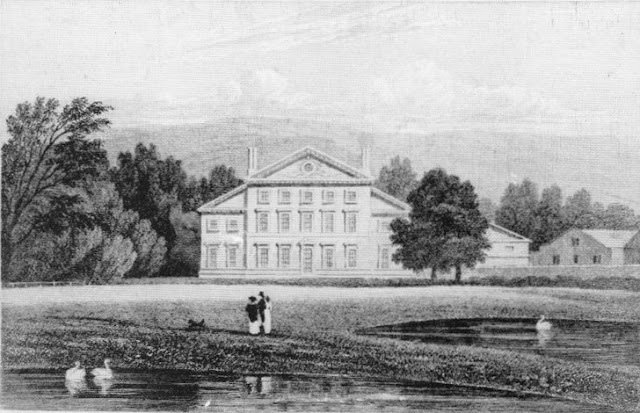 He inherited High Royd House from his father in 1785 but at the time of his death he had handed this over to his son, Joseph Armitage, and was living at Park Riding nearby, which the family used as a dower house. He died 16 December 1815 and was buried at Almondbury, where he is commemorated by a monument; his will was proved 27 April 1816. His widow died aged 86 on 16 July, and was buried at Almondbury, 18 July 1834. (15) James Armitage (1823-63), born 13 August and baptised 17 October 1823; admitted solicitor, 1846; emigrated to New Zealand where he became Resident Magistrate of Waikato District and an officer in the volunteer Army; married, 1853 in New Zealand, Tahi-Tahi otherwise Hannah Randall and had issue three sons and three daughters; shot and killed on the river at Waikato, 7 September 1863; commemorated by a monumental inscription at Milnsbridge. He inherited High Royd from his father in 1809, but first rented and in c.1823-25 bought Milnsbridge House from the Radcliffe family. From the 1820s-50s he lived at Milnsbridge and High Royd was let; at the end of his life he moved to Birkby Lodge, Huddersfield. He died at Birkby Lodge, Huddersfield, 17 August 1860, and was buried at Milnsbridge, where he and his wife are commemorated by a monument. His wife died at Milnsbridge House, 3 February 1854 and was buried at Milnsbridge. (7) Frances Vernon Armitage (1849-1935), born 10 October and baptised 25 November 1849; married, 27 July 1880, Dr. Lewis John Hobson (1852-1939) of Harrogate (Yorks WR) but had no issue; died 16 October 1935; will proved 20 January 1936 (estate £6,918). 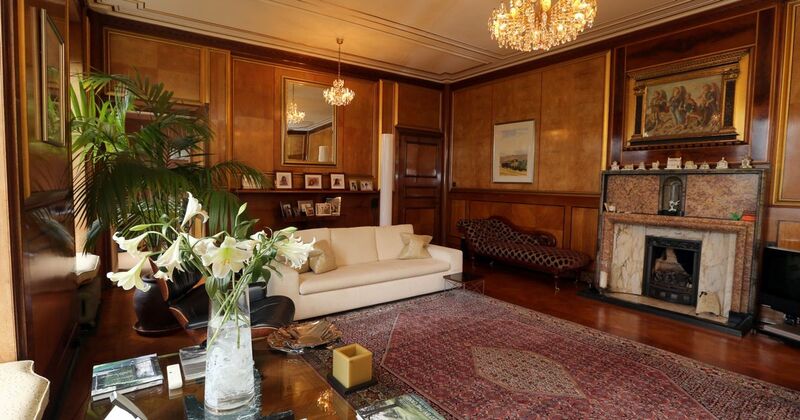 He inherited Milnsbridge House from his father in 1860. About 1876 he bought Nunthorpe Hall near York, and Milnsbridge was subdivided. He died at Nunthorpe, 19 February and was buried at Milnsbridge, 23 February 1878, where he is commemorated by a memorial window; his will was proved 12 March 1878. His widow died at Cliff Hill, Scarborough (Yorks), 16 March and was buried at Milnsbridge, 20 March 1882; her will was proved 6 April 1882. (2) Julia Ethel Armitage (1871-1954), baptised 14 February 1871; married, 24 July 1890 at Kirkburton, Thomas James Dyson (1862-1933), solicitor, eldest son of George Dyson of Netherton (Yorks WR) and had issue one son and one daughter; died 27 October 1954; will proved 26 January 1955 (estate £4,121). 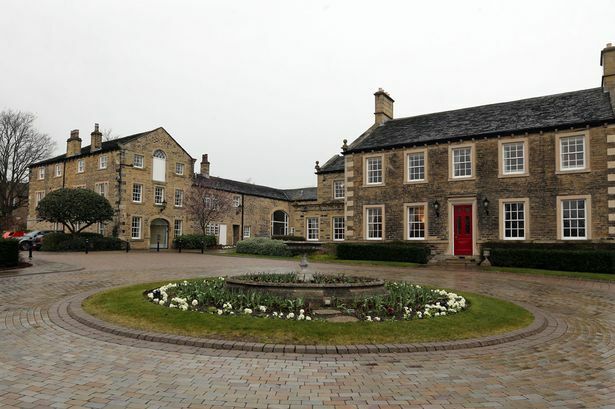 He inherited Milnsbridge House and Nunthorpe Hall from his father in 1878. Nunthorpe was sold but from 1887 he leased Storthes Hall, Kirkburton. He died 2 April 1898; his will was proved 30 June 1898 (estate £59,352). His widow died at The Knoll, Clevedon (Somerset), 17 March 1923 and was buried at Kirkburton, 21 March 1923; her will was proved 27 October 1923 (estate £2,496). (1) Josephine Meriel Chastel (k/a Merry) Armitage (1924-2014), born 21 March 1924; married 1st, Jul-Sep 1945, Sq. Ldr. Evelyn Guy Stuart Hartley (c.1906-56) who was murdered by burglars at Sawankhalok (Thailand) in 1956 and had issue one son and one daughter; married 2nd, Jan-Mar 1963, John Hussey; died 25 July and was buried 14 August 2014. He inherited Milnsbridge House from his father in 1898, but sold it c.1919-20. He continued his father's lease of Storthes Hall, Kirkburton (Yorks WR) although the freehold was sold to the County Council in 1898 and a mental hospital was built in the grounds. In 1922 he bought Conkwell Grange at Limpley Stoke (Wilts) and then in 1933 moved to the smaller Hunters Leaze near Bradford-on-Avon (Wilts). (6) Emmeline Vernon Armitage (1856-1934), born 9 September and baptised 6 November 1856; married, 5 August 1885 at Ellesmere (Shrops), Joseph Henry Warburton-Lee (1856-1932), barrister, of Broad Oak, Whitchurch (Shropshire) and had issue three sons and two daughters; died 22 March 1934; will proved 31 March 1934 (estate £1,418). He inherited High Royd from his father in 1860 but let it to Thomas Copley and lived at Birkby Grange, Huddersfield. He died 14 July 1880 and was buried at Almondbury, where he is commemorated by a memorial window in the church; his will was proved 3 September 1880 (effects under £80,000). His widow died at Ellesmere (Shropshire), 21 December 1895; administration of her goods was granted 16 May 1896 (effects £2,607). (7) Winifred Eileen Armitage (1893-1974), born 2 August and baptised 9 September 1893; married, 4 December 1924 at Albury (Surrey), Maj. John William Watson (1873-1943), younger son of Rev. Edward Collis Watson, and had issue; died 9 December 1974; will proved 27 March 1975 (estate £3,883). He inherited High Royd House from his father in 1880 and at the end of a lease in 1884 moved his family to it; he remodelled it in 1895. It was sold after his death to George P. Norton; his widow lived subsequently at Albury (Surrey). He died 24 April and was buried at Almondbury, 28 April 1917; his will was proved 11 October 1917 (estate £14,239). His widow died 23 January and was buried at Almondbury, 27 January 1933; her will was proved 16 May 1933 (estate £677). (1.4) John Clement Armitage (1923-44), educated at Eton; served in WW2 as Lt., Kings Royal Rifle Corps, and was awarded the MC; killed in action in Greece, 7 December 1944; commemorated at Phaleron War Cemetery near Athens. He lived at Downington House, Lechlade (Glos). He died 15 December 1973; his will was proved 4 March 1974 (estate £68,319). His first wife died from injuries sustained in a riding accident, 8 September 1931. His widow died 17 December 1980; her will was proved 16 February 1981 (estate £23,429). 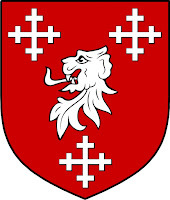 Gules, a lion's head erased between three cross crosslets argent. Here are a few notes about information and images which would help to improve the account above. If you can help with any of these or with other additions or corrections, please use the contact form in the sidebar to get in touch. Can anyone provide a more accurate date for the demolition of Deadmanstone House? Can anyone provide more information about the war service and subsequent career of Henry Ingram Armitage (1878-1940), or tell me whether he returned to Armitage Bros. after the First World War? Can anyone provide a fuller ownership history of High Royd from its sale to G.P. Norton in 1917 down to its division into four properties in the 1950s? Can anyone provide portraits or photographs of any members of the family for whom they are not given above? This post was first published 23 July 2015 and updated 12 December 2016, 11 January and 8 February 2017. Thanks for sharing this one..! Wonderful sharing really helpful ..! I really appreciated to blogger.! Many thanks for your work on the Armitages. This is just to note that Birkby Lodge was not demolished but still stands, now thought to be apartments after a period as a hotel. The listing description is at https://www.historicengland.org.uk/listing/the-list/list-entry/1134390 It has a 1900 extension and interiors by Edgar Wood for G P Norton - see http://edgarwoodinyorkshire.weebly.com/his-buildings.html Norton as you say later moved to High Royd, Honley, where he commissioned interiors from Wood's partner J H Sellers. Regards, David Griffiths (Huddersfield Local History Society). Thanks for this correction. Clearly sometime I shall have to write up the Nortons and Banney Royd too! When High Royd was sold, the Nortons - brother and sister moved across the road to a new detached house which they had built. Hi Mark, enjoyed reading about the Armitages of Milnsbridge and High Royd. A few bits of anecdotal info: I grew up in the Berry Brow and Honley areas in the 1950s to 1970s. My dad was a Farm Manager on the farm owned by the then owner of High Royd and we lived on the farm until the owner sold up and retired to Scotland to salmon fishing (or so I recall my Dad saying) I don't know the owners name but my Dad referred to him by a military rank, possibly Colonel. We then moved to Berry Brow whilst I was still a pre-school nipper. Deadmanstone House was still occupied then by a Miss or Misses Wells who ran a pre-school prep there. I went a few times but not regularly. As I got older I recall exploring the grounds of Deadmanstone House which were a bit neglected and overgrown. I think Berry Brow events were sometimes held in the gardens for a short time in the early 60s. I remember there was a rotting carcass of a pre-war car in the grounds which we used to play in. Berry Brow was extensively redeveloped in the 60s and Deadmanstone House was demolished and its grounds developed as a smallish housing development called, I think, Wain Park, which was accessed from Bridge Street under the railway bridge or from Deadmanstone lane itself. My Grandfather, John Wells, owned Deadmanstone House until his death in about 1939. His widow and here eldest daughter continued to live in two of the houses (the upper and middle houses which I think are 1 and 2) and the third part was intermittently rented out. My grandmother died in the early 1960s and the house was then sold to a developer who then redeveloped the site. As I recall the gardens were about 4 acres stretching beyond the sunken road which crossed the site (and may still) - there was a dangerous,rusty metal bridge over the road which we were strictly told not to cross, so of course we did. I have a photo of the house in the background to a photo of my grandmother and a class of children from the 1950s (she ran a sort of playgroup/nursery school in here later years). Please leave a comment if you have any additional information or corrections to offer, or if you are able to help with additional images of the people or buildings in this post. Contact Form. Please say which page your comment is about. © Nicholas Kingsley. Simple theme. Theme images by gaffera. Powered by Blogger.